With the end of the school year less than a month away. Many classes are concluding their lessons and finishing up their final assignments. Not only that but many sports have concluded their season within the next few weeks or even today. One of these sports who’s season isn’t ready to end is track and field. Track, like many spring sports, kicked off their season on the last days of February. Many of the athletes are returning veterans or people that are completely new to the sport. Track unlike many other sports has a large variety of events that one can participate in. Not only that, but one can participate in up to 4 events in a single meet. These events can consist of sprints, distance, throws and jumps. Sprints would be the famous 100m, 200m and the 4×100. Distance are much longer runs such as the 1500 and the 3000. Throwing events will include javelin, shot put, and discuss. Jumping events offered at phoenix are the high jump, long jump, triple jump, and the hurdles. 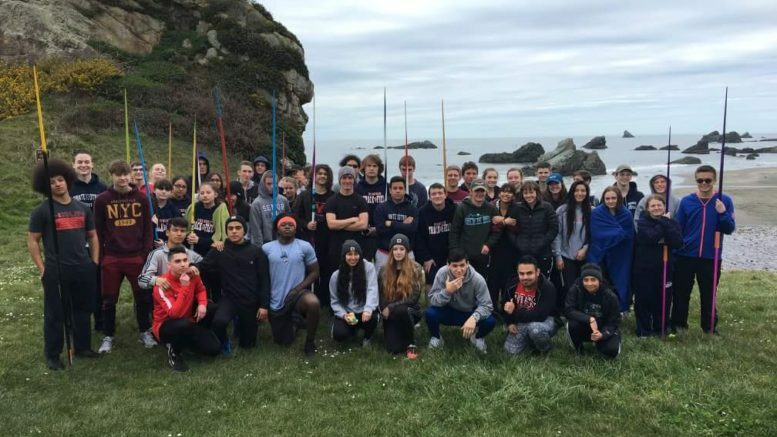 Aside from the hours of training and preparation done throughout the season track and field celebrated their 53rd anniversary for the girls and its 92nd anniversary for the boys on April 15th. The day when Phoenix High School started their track program here in the Rogue Valley. This past month track and fields athletes were put on high levels of stress, especially with districts and state just around the corner. This was the time where athletes began to work even harder than the previous months in order to be able to place and to end the season on a high note. Either in a personal season record placing at districts or even having the chance to compete at state. Earlier this month JV athletes went to Klamath Union for their last meet, the JV districts. Athletes fought hard in order to place and to be able to PR in their events before ending their season. Last week on the 11th and 12th our varsity track and field athletes went to Southern Oregon University in order to compete in the varsity skyline districts. The results of the meet can be found on athletic.net under phoenix high school track and field. The results on state qualifiers are the following. For the ladies we have Anna Nash competing for the long jump, Sienna Bauer for the 100m hurdles and Lupita Alegria for the 800m. For the gentleman we have Cori Romig competing for the 100m sprint, Robert Vos for the 1500 and the 3K, Joseph Grace for javelin, and Joseph Naves for the 400m. These athletes will compete one final time at the state track meet that will be taking place today and onto tomorrow. Congratulations to everyone at both district meets and to those that have qualified for state and that may even be competing today or even tomorrow. If you can, go and support our Phoenix athletes at Hayward Field in Eugene. Congratulations track and field athletes for completing another amazing season. Be the first to comment on "Tracking Down Victory"